I wanted to share with everyone a little post about my exposure to CentOS 6.2 Minimal. If you are not aware with the latest release of CentOS 6.2 there is now a “Minimal” ISO option. Now let me tell you first off when they say minimal….it’s got next to nothing. Personally, I love that fact because there is zero bloat to it. If you are an admin or even a developer working on virtual appliances, this could be the solution for you. I decided to use it to build my own vCloud Catalog image on Virtacore so I could deploy it and use it for my Bitnami wordpress stack install. I have always been a fan of CentOS for my home lab and this release is no exception now that it is just so darn small. The ISO is a mere 322mb and installs all of 209 packages to get you started. Now off the bat here is a short list of things you will want to add on right away especially if you want to install the VMware tools on your new operating system. I assume you do since everyone uses Virtualization, right? As you can see even these are some of the most basic packages needed. Now you can begin to add all the other packages you want until you have the build you desire. For VMware tools, the kernel does not need to be built during the install, but it is force of habit to install the headers, gcc, and make. The only thing I found was you can use this image in vCloud Director with guest customization, but I have not found a way for vSphere to do Guest Customization from a vCenter template. vCloud uses a different method and CentOS is supported in vSphere, so I need to look into that more. So I am in the process of re-building anything linux in my home lab to CentOS Minimal and I would tell you to give it a shot too. Especially if you like un-bloated installs to start with. Makes it a bit more work, but thanks to the vCloud Director catalogs you can do it once and provide it as an option to your consumers. I think you will like this new offering for sure. In my opinion, this is one of the best CentOS builds I have downloaded and installed to-date… We are using this for an in-house web server, configured as a LAMP server. We will also provide our windows-based desktop’s a network transfer drive via SAMBA. I work for a computing outsourcing firm where we regularly install new servers to cope with demand. Over the past few years, we’ve moved from multiple flavors of linux to centos. All of our machines run centos from the servers to the free internet access computers in the guest lobby. We used to do pretty lengthy installs then remove a lot of bloat, which takes up quite some time. Multiply that with up to 200 servers installed at a time and you get an idea on how much time we used to waste. With the 6.X minimal installers, the same 200 servers can be loaded with centos by a single person in one day. Amazing. Hi, I just want to say that I found the solution of using guest customization in vCenter for CentOS 6. Nice! Useful for a lab since it is unsupported but I may use that in my home lab for sure! 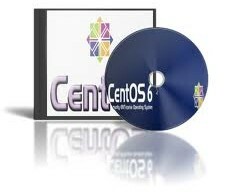 I am very excited about CentOS 6.2 minimal. A couple of us tried to install it inside Workstation or Player and can’t seem to get it to start. The loader bars on the bottom go from left to right (though it takes three ‘send ctr-alt-delete’ which act as restarts to get that far, initially it fails much sooner), and then just hangs when they all get to the right. Any ideas on how to get it started within VMWare? We are thinking of playing around with kickstart and maybe with minimal there aren’t enough packages in order for the VMWare stuff to work, you indicate above what it takes to get VMWare to run inside a minimal install, what about what packages are required for VMWare to start an OS minimal instance? Minimal certainly has very few packages in it and the above ones are What I needed to get started. Come to think of it I have yet to try it in Fusion but all my installs have been on VMware vSphere. I have not tried on Workstation either since I have no Windows Machines in the house anymore :). Maybe someone else can shed some light on it as I don’t see any reason it shouldn’t boot in Workstation or Fusion. We are going to try adding the packages above with kickstart and see what happens. It looks like you are trying to run the tools off the ISO from the error. I have never had an issue installing them, but I always copy/extract them to /tmp. I have not once seen that error in this distro at all. It does take some time to massage it for sure. So – actually that tools install probably always fails. So, whatever is after that and before the login is the part that fails…. Yeah, I hadn’t even gotten to the kickstart part yet, but still hope to do that to help automate the process. VMWare Player/Worstation – apart from kickstart – has a sort of automated process for install that doesn’t work for CentOS 6 minimal, but going through the manual install does work. Thanks for the great page and info! I think minimal.iso is the best option for deploying hundreds of these things so figuring all of this out is great. It is likely you were doing the manual install the whole time. For example, did you have the choice to “verify media” or not? And maybe 10 other questions? If you made that choice one way or the other, then that is the manual install, otherwise it is a VMWare auto-install. The VMWare auto-install drops it down to 2 or maybe 3 questions. Figured it out! You can’t use the VMWare ‘automatic’ process, you have to install a blank VM instance, though you do specify that you will be installing CentOS 64-bit. Then you go into the blank instance as a separate step and do the install. This issue was raised on the CentOS forums as it will happen to anyone/everyone who uses Workstation and minimal.iso. Here is the phrase from the person who solved it: “Vmwares shortcuts do not play well with C6”. Thank you for sharing your findings — just saved me hours of time. Just as a quick follow on for others, be sure to set you cd/dvd device on the blank OS VM to boot from your ISO. In CentOS 6.3 there is a “Configure Network” button in the lower left hand corner of the “Hostname” screen. There you can configure the network settings for the NIC card, just do not forget to check the “Connect Automatically” option so the NIC will be active on boot.